This excellent foot spray is infused with nature’s own fresheners- lemongrass, patchouli and tea tree oils. These instantly revive and energize tired feet while leaving them smelling fresh! The stimulating agents of menthol and aloe vera will add a spring to your feet. Spray on before a long day to protect and again at the end of the day to energize, banish odor and bacterial growth. 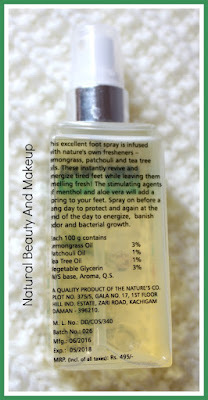 Claims: To revive and energise tired feet instantly while leaving them smelling fresh! 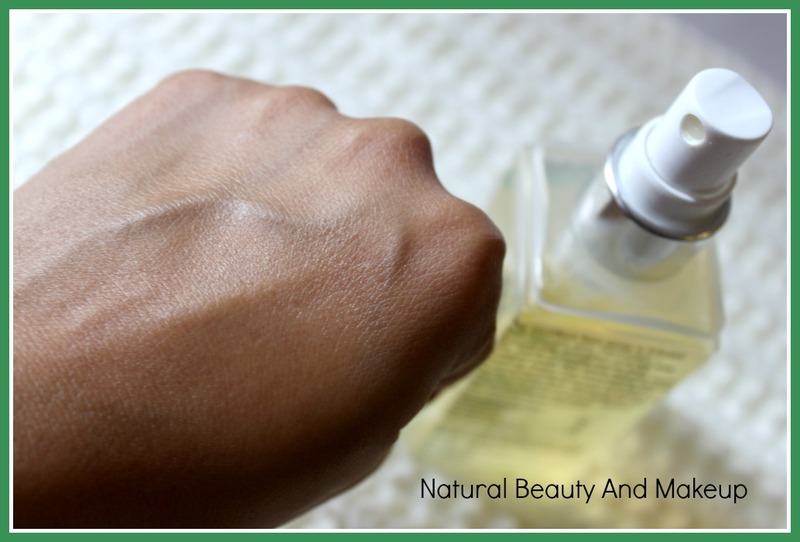 The product comes in a see-through square shaped container with a spray mechanism and is secured with a cap which shuts tight. For the travelling purpose, I sealed the cap with a clear tape for an extra protection. All the necessary details are printed on the body of the container. The product gets a good mark in terms of packaging as it is recyclable, easy to carry and use! 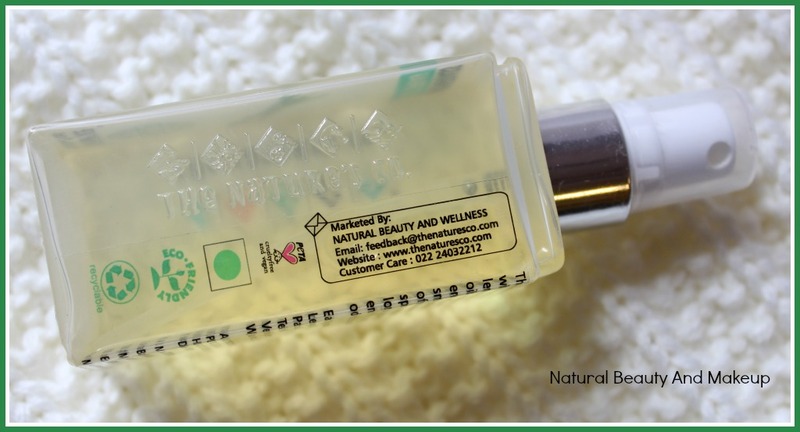 The foot spray is yellowish in colour and is pure liquid, runny in nature. Upon spraying the mist, it releases a fine herbal smell, not overpowering at all. In fact, soothes and calms the sensory organs. Travelling is real fun but I hate it completely when it takes a toll on my legs and feet! Seriously, I am not kidding. When I bought it, I was clear about one thing, I need ‘RELAXATION’ from this product. Being a calcium deficient person, I suffer from chronic leg pain often. If a day involves a lot of walking, my feet get tired easily, this, in turn, causes pain and irritation. I needed something which could calm my stress and reenergize my feet so that I can sleep better at night. I was wondering if such product even exists and voila here it is! I don’t have smelly feet issues but on the days when I wear tight closed shoes, I spray it before going out. I love when my full body smells good, of course, who doesn’t 😉? Although, the smell doesn’t linger for a long time! 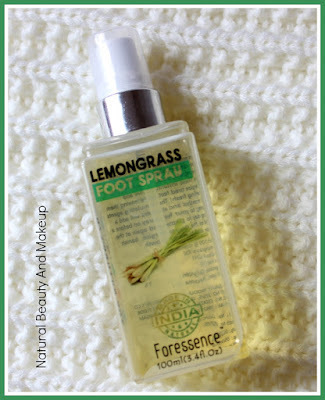 It sprays a fine mist evenly and to cover an entire foot, you need to spray a good amount of it. Nevertheless, this 100ml bottle would last long even if you use it daily 😊. 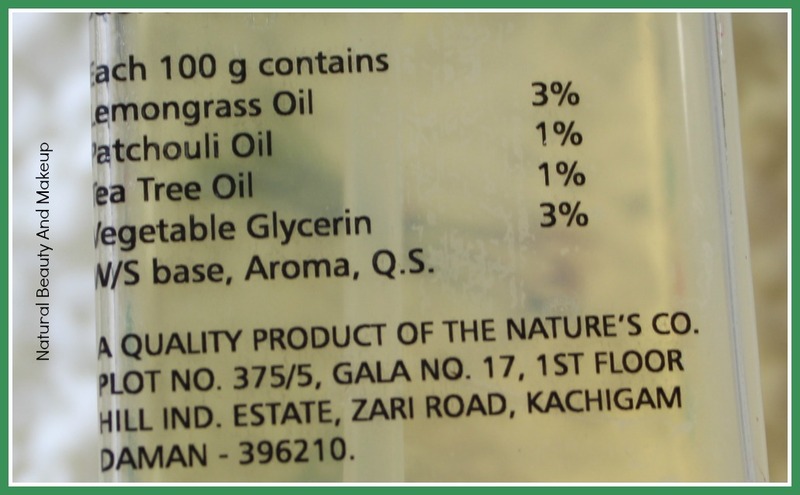 If we delve deep into the ingredient list, we will find that it is blended with the classic aroma oils like lemongrass oil, patchouli oil, tea tree oil which has antibacterial and antifungal properties. 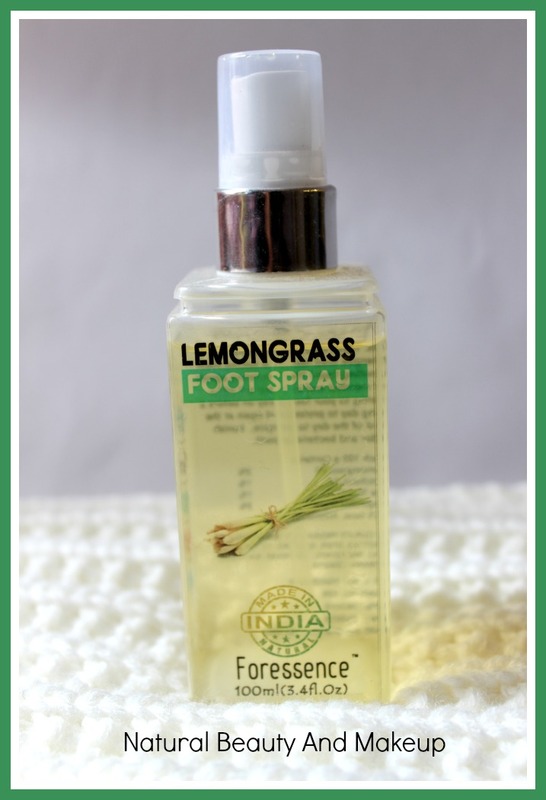 It assures you to protect your feet from bacterial growth which I find great for the summer & monsoon season. Personally, I prefer a full ingredient list on any product, but it displays only its star ingredients like this brand’s other products! 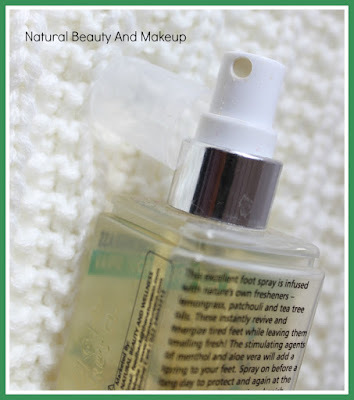 I use it sparingly that is only on the days when I travel or walk a lot. Usually, I spray a generous amount of this liquid on my clean feet before hitting the bed. It gets absorbed into the skin instantly imparting a cool sensation to the feet. 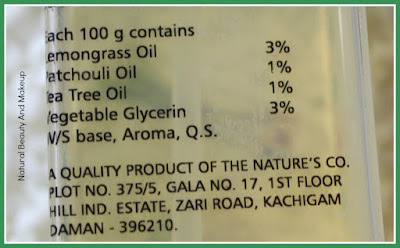 Apart from the oils, it also contains vegetable glycerin which aids feet from drying out to an extent. Although, post usage, I do need to apply a foot cream. 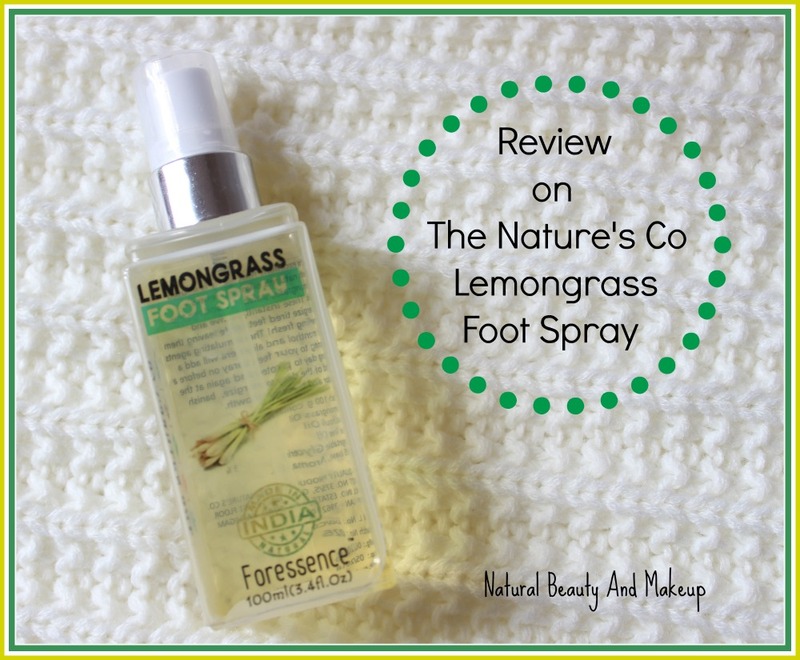 The best part, all these healing and cooling properties of this foot spray induce fast sleeping; as a result, I wake up with fresh and energised mind & body! What more I could have asked for 😃! Good news MEN!! This is a unisex product thus I tried it on my husband too. Initially, he hesitated to use this, but after my continuous efforts, he agreed and now quite happy with the results. All in all, it is a star product for those whose job requires a lot of walking, who wants to get rid of feet irritation as well as bad sweat odour. 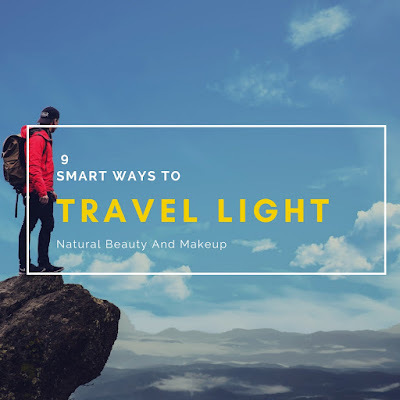 I am in love with this product, definitely, a must have for all, especially travel junkies. Some may find it expensive! Have You Tried The Nature’s Co Lemongrass Foot Spray Ever? If Yes, Please Share Your Experience With Me In The Comment Section Below. I have never used any product like this ... It seems very good... I want to try this out ... Thank for the details about the product. Looks like a cool product. 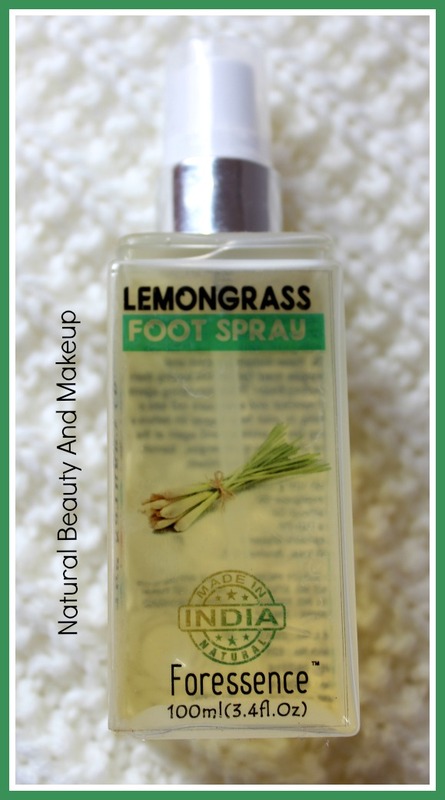 Lemongrass is my favorite fragrance. Will try out this. Sounds like a really good treat for tired feet, I wish I can find something similar here in Australia. Thanks for the info dear! 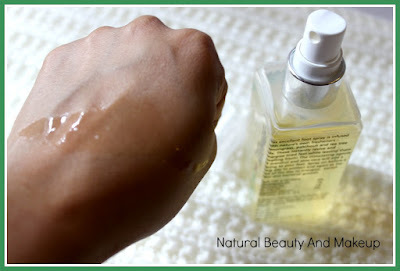 Anytime sweetie :) Do try this product once at least!